Oh yes, I've felt that sentiment expressed so sweetly in your poem. What a tremendous photograph, I hope you'll have it framed and hang it up. In fact your whole blog is looking just gorgeous, love the banner photos and treatment. Such a beautiful photo.. the colours amazing. And lovely words to accompany it. Wonderful photo and words! You have a beautiful way with words. oh that is beautiful, reena. Amazing photo. Love the words you expressed here. So beautiful. This is a perfectly beautiful photo. Your photos of Portugal look amazing, I would love to visit it someday. Reena I really do love your photos. And your beautiful words. The photos from Portugal are just lovely. Ooh... and very cool new banner! awesome pic! love all that rust and paint-peeling detail. Beautiful words and I love the header. I really like the colors in your photo today Reena ~ and pretty words as well! are we referring to anyone in particular? What a great photo, beautiful coulors! Love this poem - beautiful! And the photo is perfect. Tells a story all on its own. I just had to tell you that we almost did the same "drive by" as you with the tower in Pisa. We didn't, but seriously contemplated it on our way to the Cinque Terre too! Ah we have all been there haven't we, haunted by a face and memory. Your photo is fabulous, the colors are amazing. Stunning photo and very mysterious poem . . .
Love the photo...it jumped right out of the linky at me. Great colors and textures, and a melancholy mood. I love that. I agree with Barb...a mysterious poem that likely means different things to different people. A delightful pairing with image. 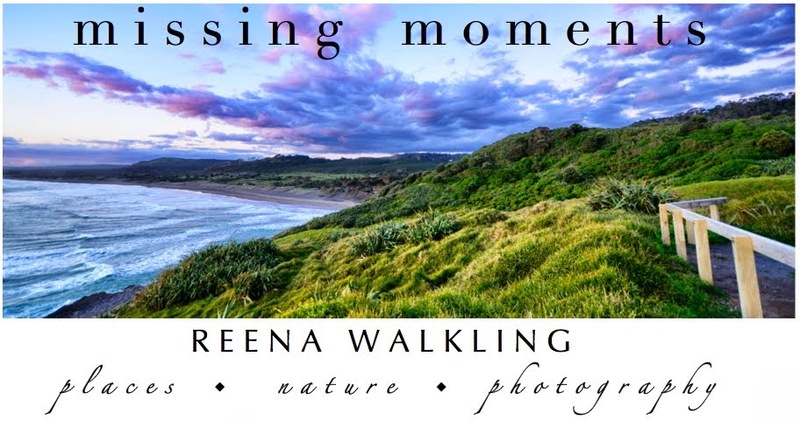 This is just beautiful Reena, and you have chosen such a wonderful photograph for it! Beautiful colours in this shot! I love how the green moss contrasts with the door. 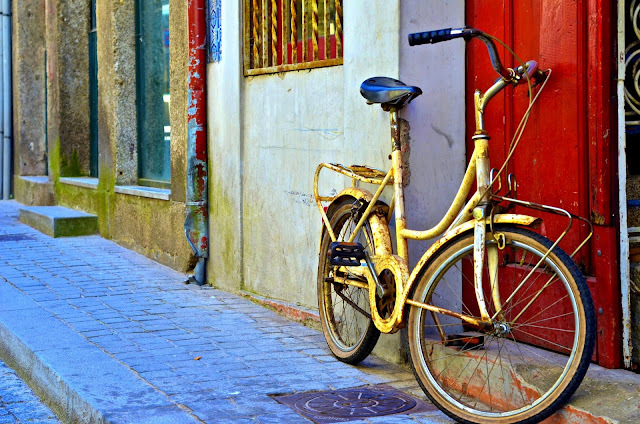 And the blueish pavement with the yellow bike! this is worderful! what great color and composition! Wonderful pic and touching words! What a lovely photo and very poignant poem! Beautiful poem and the photo is fabulous! The colors...WoW!!! All that little yellow bicycle needs is a sweet basket on the front and it would be perfect, just like your poetry.